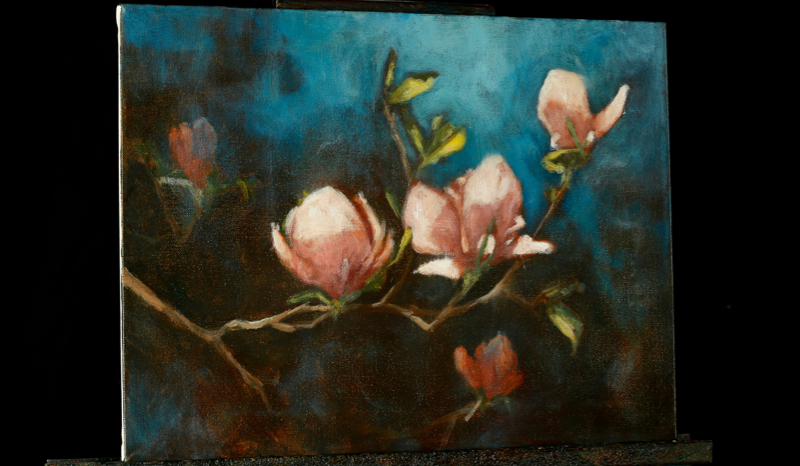 About this lesson: In this lesson I will take you through toning the canvas, creating a sketch of the magnolias, and then adding in layers and layers of paint to create a colorful and unique painting. This lesson is a little more loose and shows you a few great techniques to use with acrylics. I show you how to use looser brush strokes and layer paint to create an impressionist feel, and I’ll show you how to alter the layers of color by doing multiple washes. It’s a fun lesson, and something a little different for you to try! I show you every step of the way from start to finish.